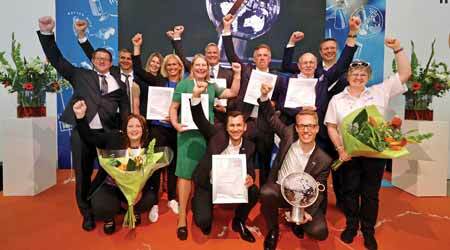 Interclean kicked off its 2018 trade show by announcing the winners of its Innovation Awards. Winners were chosen by votes and feedback from an international jury made up of editors and publishers of cleaning media from around the world. All three nominees of the Machines, Accessories and Components Category were robots, with Kärcher’s KIRA B50 taking home the honors. Scot Young Research’s Powr-Mop Lite, which is a battery-assisted mop, won in the Tools For Cleaning Care and Safety Category. E-cleaning was a new category as the jury felt it was important to recognize the prevalence of Internet of Things technology, software and connectivity in the industry. The Vermop System ONe by Vermop, which incorporates IoT technology into carts and mop handles, was named the winner. The winner of the diverse category of Management, Training Solutions and Related Products was Essity’s paper towel recycling service called Tork PaperCircle. 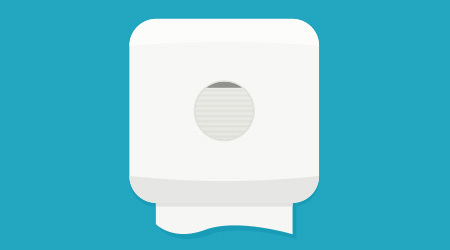 The Tork PaperCircle also received the Visitor’s Choice Award. Before attending Interclean, 4,000 visitors voted online for their favorite of the 12 nominees. Finally, the Overall Winner was chosen by the jury from only the four category winners. This year the jury chose Kärcher and its KIRA B50 robotic scrubber. “This winner excites us, inspires us and shows how the industry is moving forward,” says Michelle Marshall, chair of the award jury committee.